Our hinge slicer can slice 2, 3, or 4 lane hinge or web slicing for small to medium size bakeries. 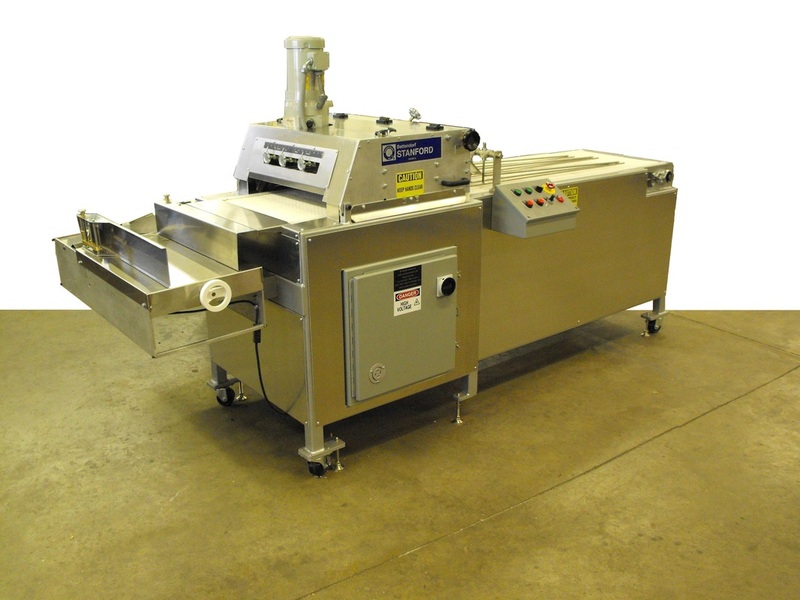 We produce these slicers for individual or cluster products, bagels, hard rolls, and specialty rolls. We modify each slicer for the particular product that you are running. Our units can be used in conjunction with semi-automatic or automatic bagging.